Here at the farm we are humbled and proud to be able to offer a number of truly blessed spaces. While photos can't fully convey the magic, we invite you to explore the gallery below and get a taste of what life here is like. Be sure to click on the image for a better view! 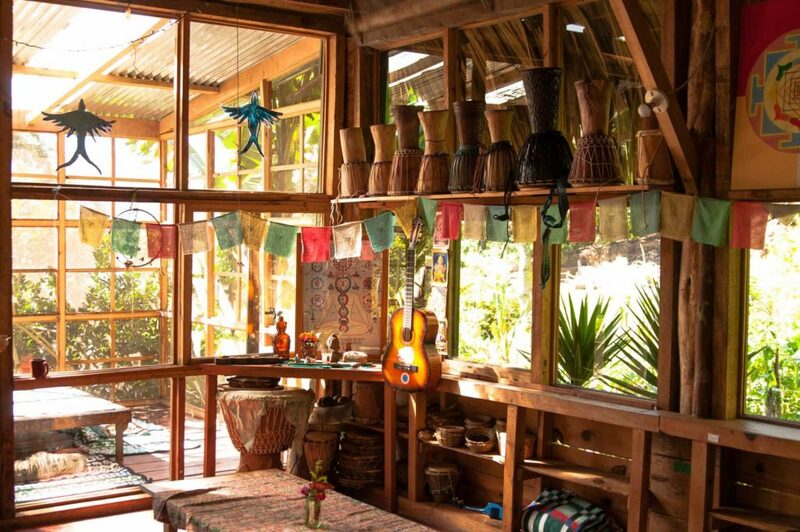 A bright and airy multi-purpose space for all to enjoy, the Water Shala is one of the first spaces you’ll be welcomed through upon your arrival to the farm. Practice yoga. Hang in a hammock and watch the waves of the lake gently lap upon the shore. Dance. Sing. Create. Play. Be free. Stepping into the beauty of this space for the first time can leave one speechless. 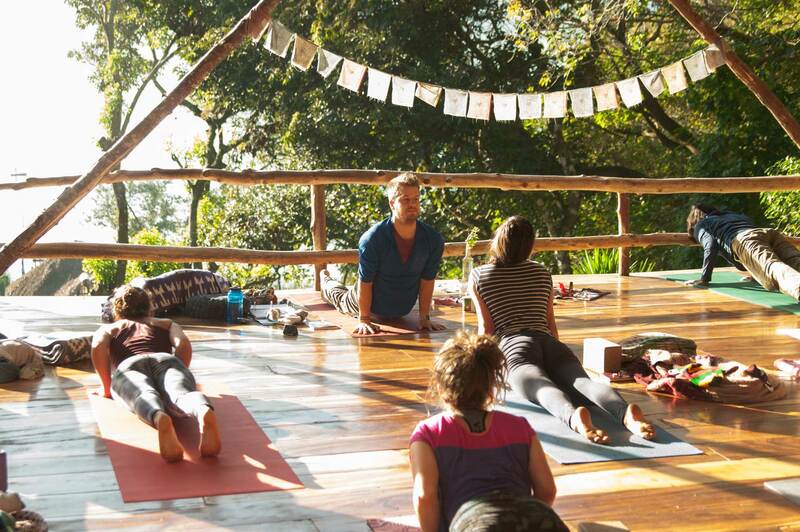 Practice yoga among the trees with hummingbirds and squirrels, bathe in the rays of the morning sun and feel the light winds of the lake gently caress your skin in this open air yoga studio. Great for ecstatic dance, special ceremonies, and group gatherings. Step out of this world and into our magical sound portal. 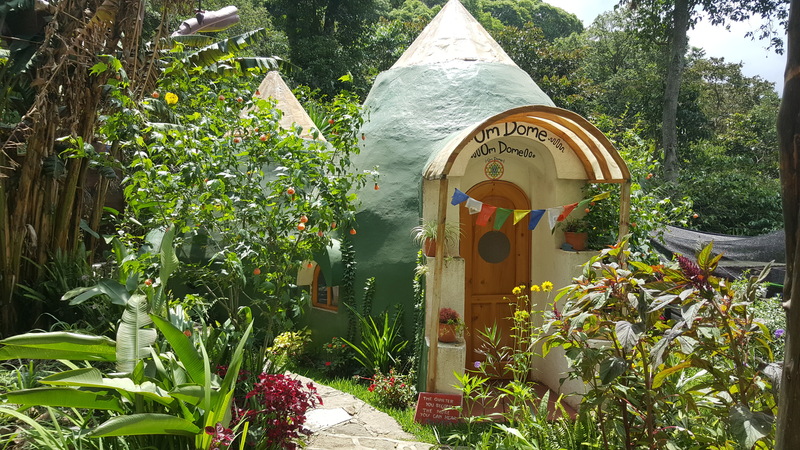 Built by hand from cob and crete, the Om dOme was intentionally crafted into the perfect geometric shape for amplification of sound waves and love. From crystal singing bowls to chimes and drums, the Om dOMe is our sacred space for guided meditation, sound healing and shamanic drum journeying. Our traditional Mayan Sauna with hot steaming rocks and a roaring fire. 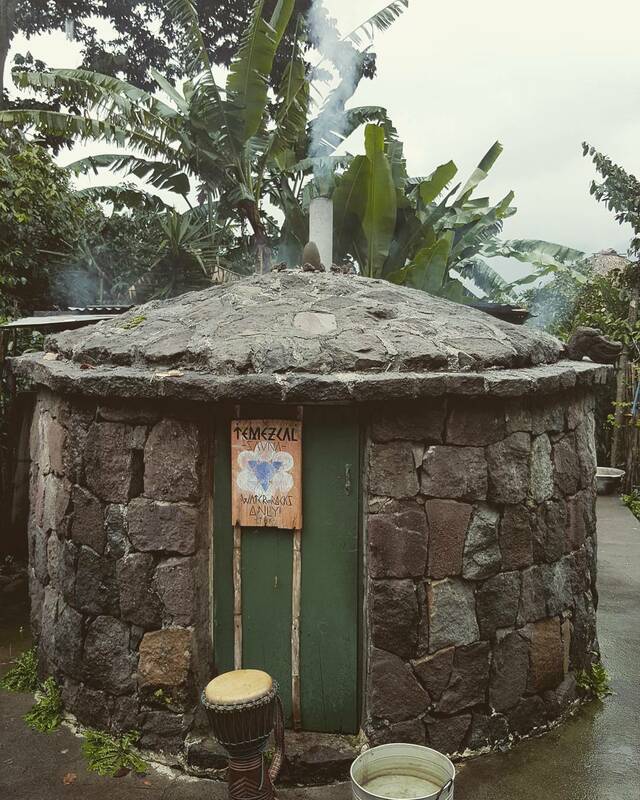 The temazcal is a sacred place of deep healing, purifying release, and divine connection. The heat and wisdom of the fire help to open our hearts and spirits as we commune with the elements and our innermost selves. 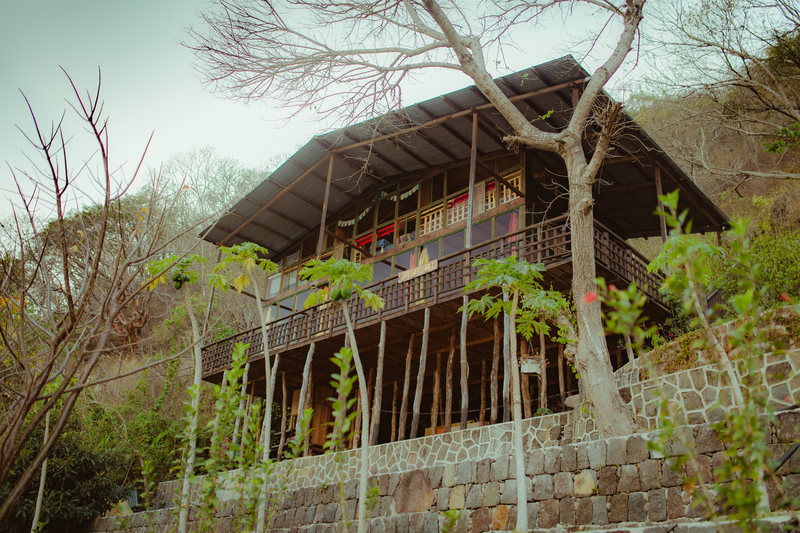 A sacred space of serenity tucked away in the heart of the farm and nestled amongst the banana trees and hummingbirds, the Tea House is a tranquil place built for sipping tea, reading poetry, connecting with friends, and enjoying the beauty of simply being. Wonderful for tea ceremonies, meditation, and small group meetings. With the spirit of the fire and the beat of the drum we gather to sing, to praise, to remember, to dance, to release. Here we call in the directions and celebrate this life and the ones who came before us. Perfect for group meetings and classes during the day, and satsangs and reflection circles at night. Sit in stillness and watch the clouds go by, dragons and serpents weaving their way through the mountains in the sky. Refresh your spirit by jumping into the turquoise lake. Feel the stillness of the calm morning waters on a paddleboard or a kayak and experience the magnificence of her presence. 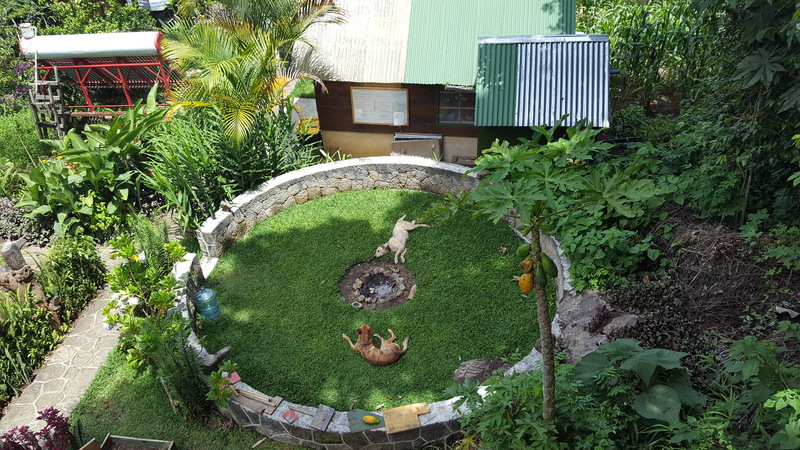 A communal hub of love, laughter and connection, where we gather three times a day to share meals and stories. We all eat together and bless the food with intentional songs, giving thanks and enjoying the company of our brothers and sisters. 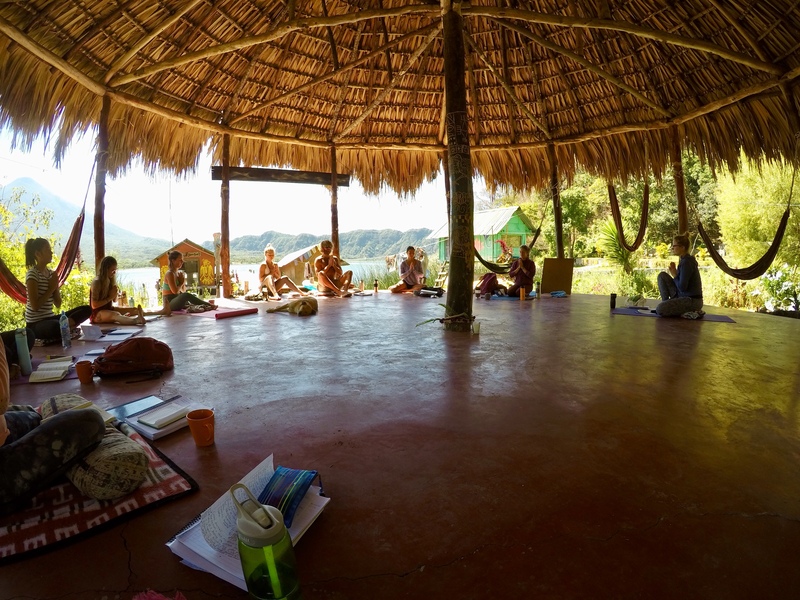 Outside of mealtime, the space is wonderful for group meetings, classes and workshops. 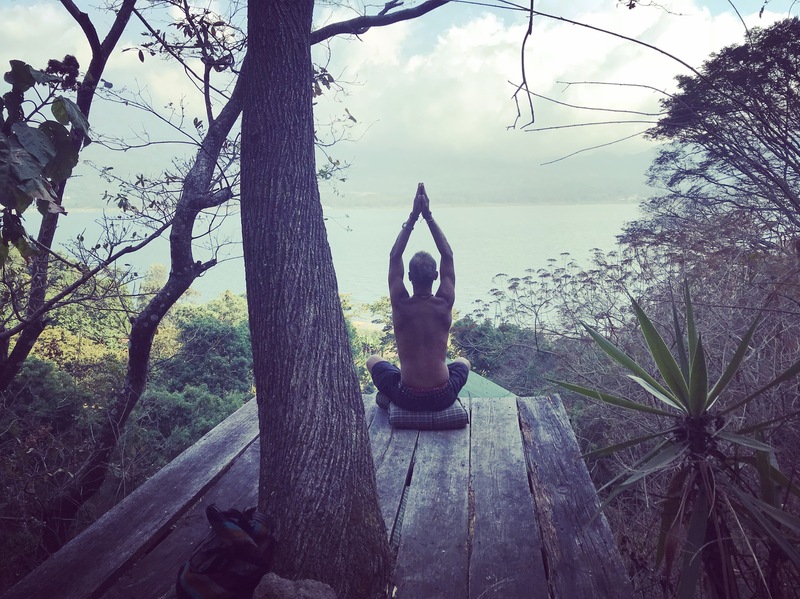 Nestled high above the lake at the top of the property you'll find a simple platform built around the trees that offers peaceful solitude accompanied by stunning, soul-nourishing views. 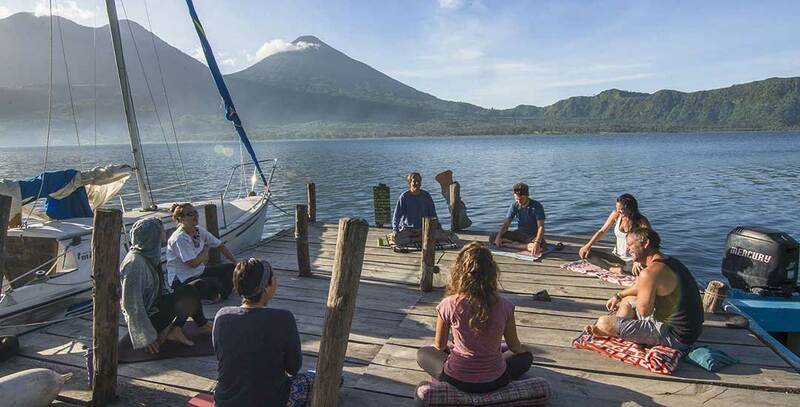 Find your center and find yourself as you contemplate the beauty of the wise lake and majestic volcanoes. 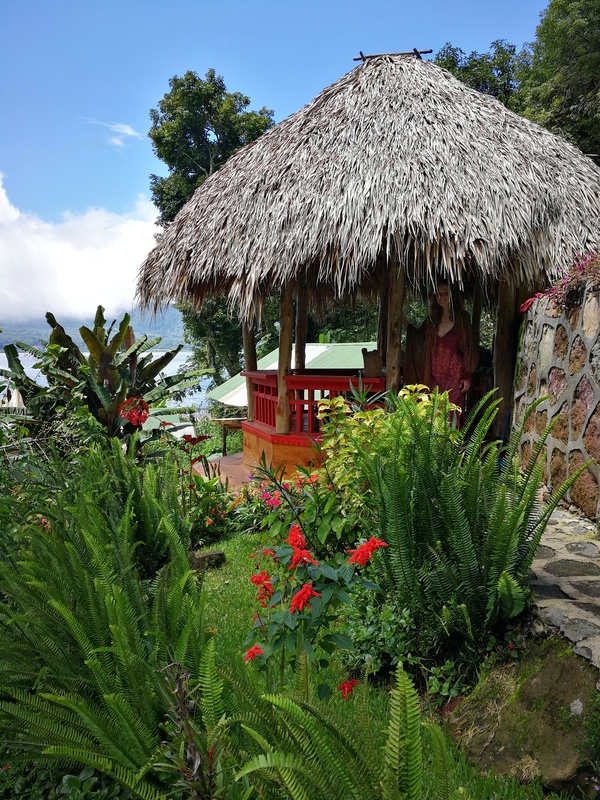 Let your soul be healed as you are serenaded by the peaceful song of native birds dancing in the gentle breeze.